ondays always feel a little blah in the winter. Everything seems gray and cold, not at all inviting. After a weekend of cuddling in bed, playing with puppies, watching movies, and cozying up with cocoa, I'd love to make it last just a wee bit longer. I thought I'd share a few of the books that I've been cozying up with recently each week. Now that the Christmas decorations are put away and the long wait until spring has begun, I like to distract myself from the temperatures with pretty pictures and bright colors. The beautiful photography and vivid colors in my recent reads are just the thing for dreaming of spring. The first book I've been coveting for a little over a year, since I first saw a mention of it in Posie Gets Cozy. I picked it up this November when I stumbled across it in a bookstore and finally got a chance to peek through it firsthand. I couldn't bear to put it down, so it came home with me. 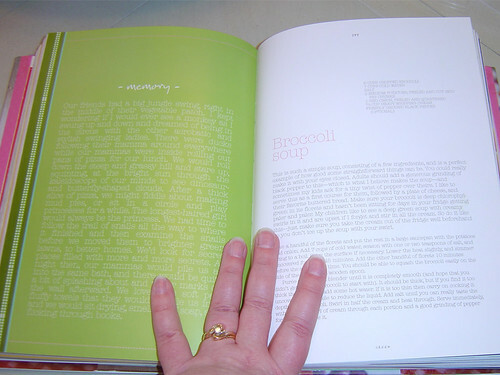 Apples for Jam: A Colorful Cookbook has a very apropos subtitle, as it's arranged by color. 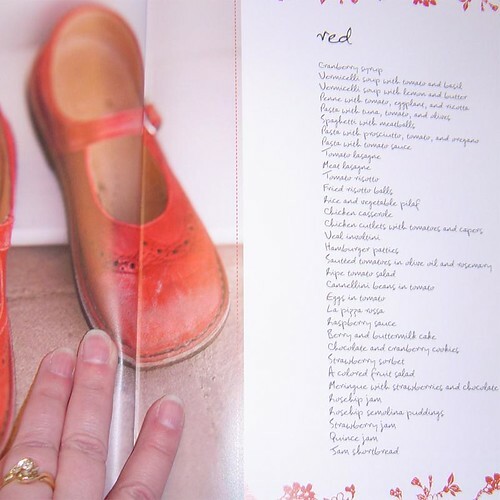 It is a gorgeous cookbook full of lovely personal anecdotes by the author. I don't keep it with the other cookbooks, even though at it's heart that's what it is. Instead I keep it in my "Peruse Pile". My pile of pretty books that I love to linger over with a cup of coffee. I wish I had had the courage to order this book on Alicia's recommendation alone a year ago, but I'm glad I have it now. I tend to want to see a picture of the final outcome before I'll make a recipe, this cookbook more than delivers. 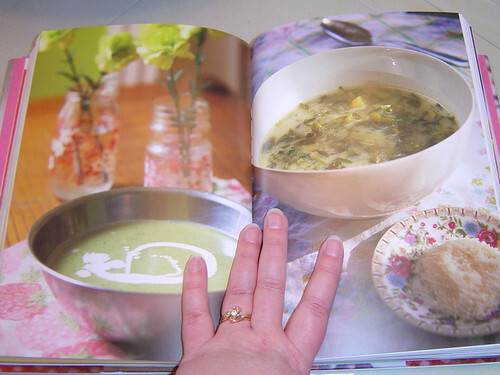 There isn't a photo of every recipe, but the photos it provides are so enticing! 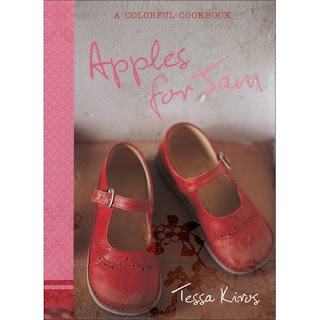 Tessa Kiros has written a few other cookbooks, I also have Falling Cloudberries which will be shown soon. 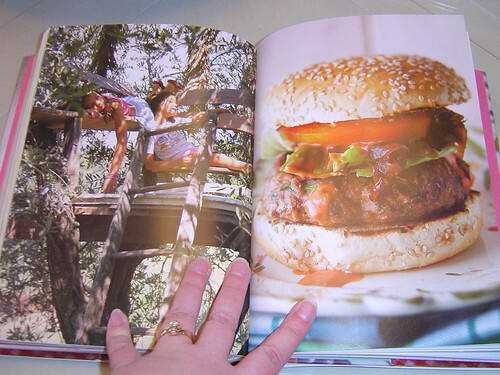 If I had that cookbook, I think I would have a harder time trying to lose weight! I have to get to a bookstore!! These look fabulous!! Thanks for sharing them with us. I just added that to my wish list. Oh my, it looks like fun! A book Jeff just ordered for me yesterday is Asian Noodles by Nina Simonds. I have checked it out from the library three times, I guess he thought I needed to own it. If you like that kind of thing (and we do) it's an amazing book, and yes, filled with photos too! Apples for Jam is SIGNIFICANTLY cheaper at Amazon! Just FYI. That looks like an amazing book, wow.